Set: flashlight, rubber grip, holster, lanyard, 2 O-rings, spare rubber button, manual. Complete absence of programming, optimized the number of modes. Now it's easy to operate the flashlight. Green light allows you to illuminate the territory at a sufficiently large distance. In addition, it is indispensable for lighting at a short distance, especially when reading, working with maps and navigation devices. 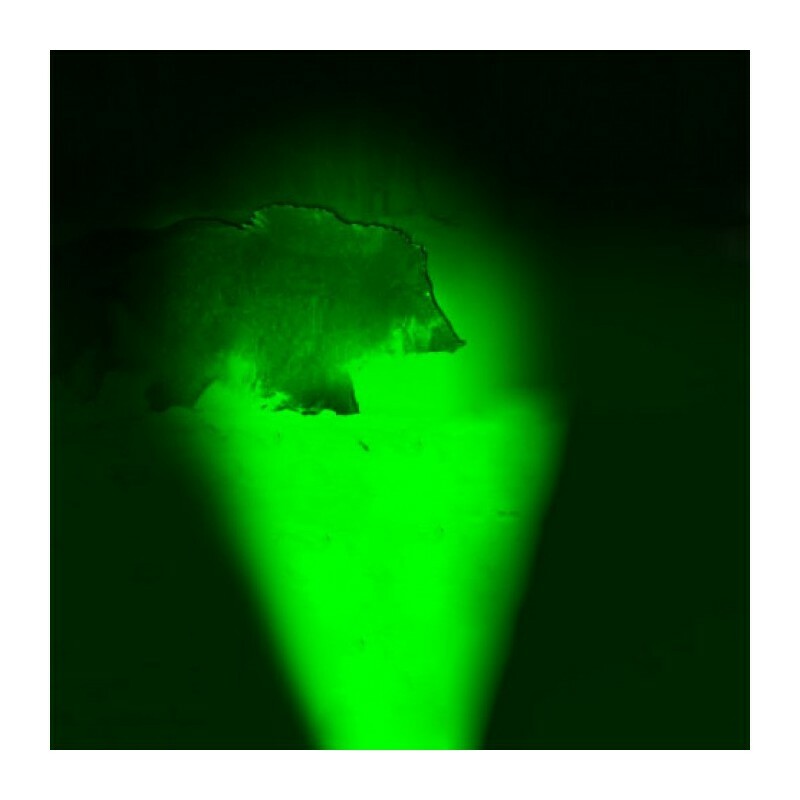 Green light will not frighten a prey away while hunting because it is not visible to particular animals. 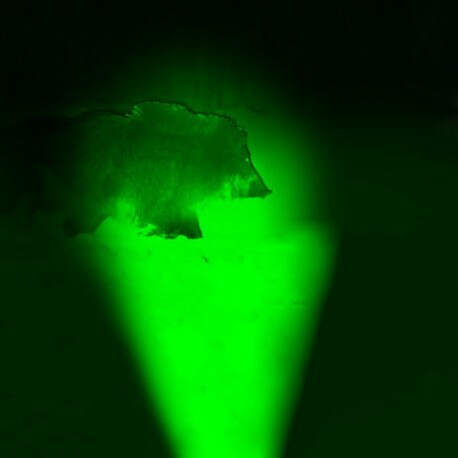 The beam of green light is not visible from the side, so it's difficult to determine where it comes from. A smooth reflector with 5°:40° light angles makes it possible to form a very bright spot of light at a distance of up to 297 meters and creates long and narrow beam. 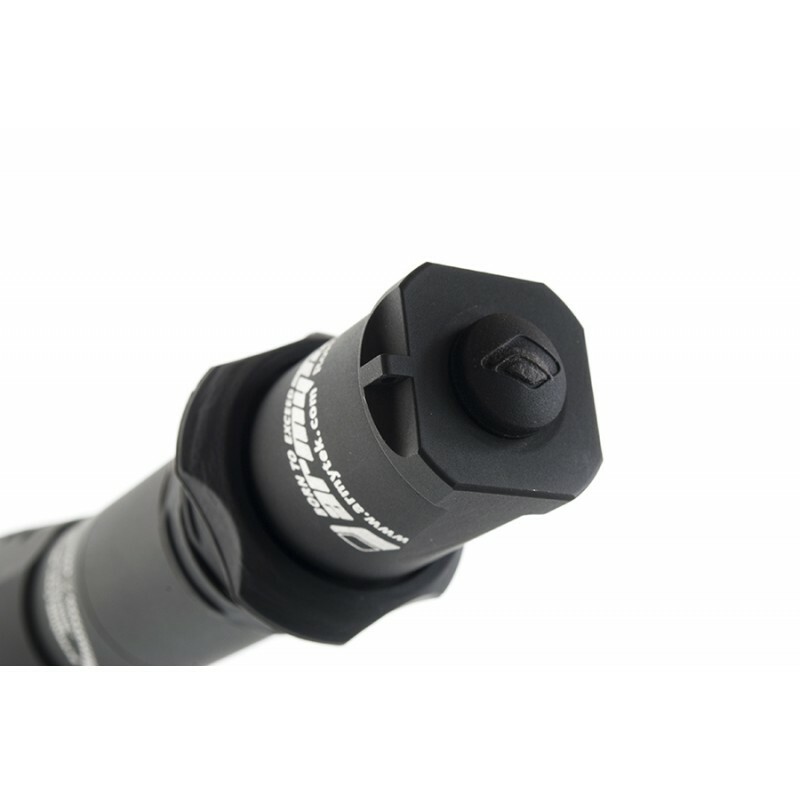 The flashlight has a stepwise stabilization of light, i.e. when the battery is discharged, it gradually lowers the brightness. 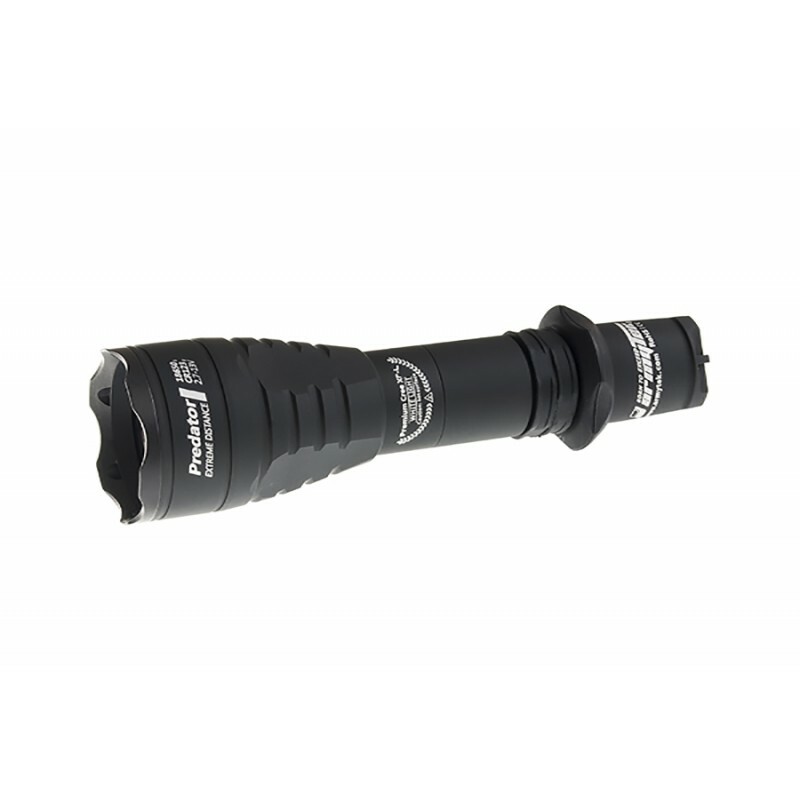 Full compliance with the highest standards of durability and reliability: the flashlight easily withstands fallings, the recoil of 12 caliber weapons, harsh impacts and shaking without any loss of functionality. 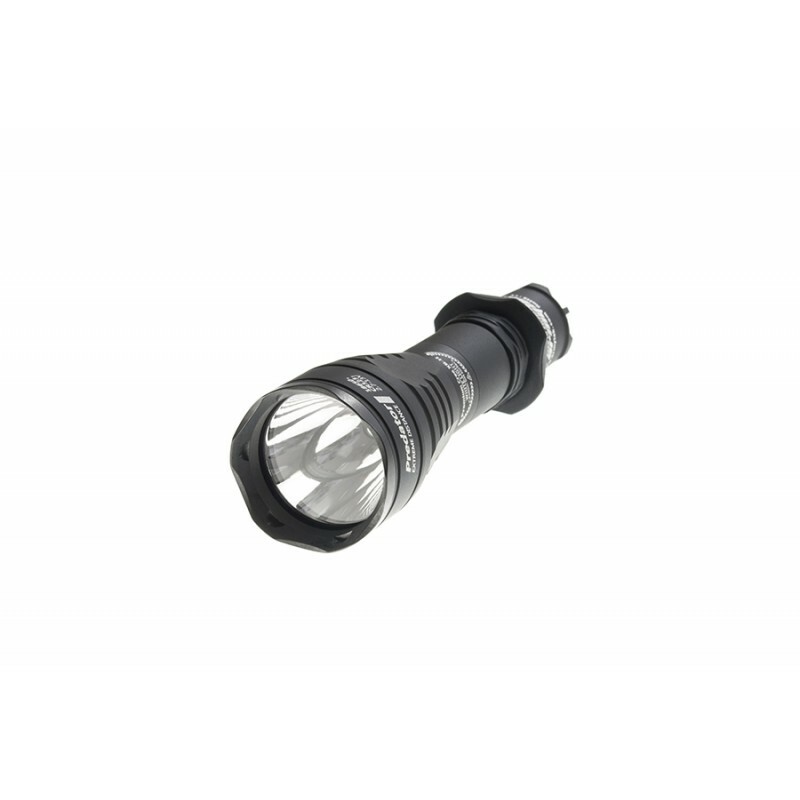 The highest standard of dust and water resistance: the flashlight is completely protected from dust and dirt, it continues to work without failures even at a 50 meters depth under water.